What is a drone and how do drones work is answered here in this easy to understand article. Drone technology is constantly evolving as new innovation and big investment are bringing more advanced drones to the market every few months. Below, we discuss UAV technology on the most popular drones on the market, which have all the latest drone technology. Most drones will have very similar systems incorporated. Unmanned aerial vehicle technology covers everything from the aerodynamics of the drone, materials in the manufacture of the physical UAV, to the circuit boards, chipset and software, which are the brains of the drone. One of the most popular drones on the market is the DJI Phantom 3. This drone was very popular with professional aerial cinematographers. While slightly old now, it uses plenty of advanced technology which is present in the very latest drones. In only a few months since writing this article, some new and highly advanced drones such as the DJI Mavic 2, Mavic Air, Phantom 4 Pro, Inspire 2 and Walkera Voyager 5 have come to the market. The fast pace of drone technological innovation is tremendous. I’ve included these latest drone technology advancements in the below article. So this article is right up to date including all links. A typical unmanned aircraft is made of light composite materials to reduce weight and increase maneuverability. This composite material strength allows military drones to cruise at extremely high altitudes. Drones are equipped with different state of the art technology such as infrared cameras, GPS and laser (consumer, commercial and military UAV). Drones are controlled by remote ground control systems (GSC) and also referred to as a ground cockpit. The nose of the unmanned aerial vehicle is where all the sensors and navigational systems are present. The rest of the body is full of drone technology systems since there is no need for space to accommodate humans. The engineering materials used to build the drone are highly complex composites designed to absorb vibrations, which decrease the noise produced. These materials are very light weight. Below we examine the science and drone technology behind the DJI Phantom 3 UAV. We also have plenty of information on the latest drone technologies from the newest drones on the market. There are plenty of links where you can read deeper into various components of drone technology. For example, here is a terrific drone components overview article. This gives you a breakdown of the individual components seen in most drones. Drones come in a wide variety of sizes, with the largest being mostly used for military purposes such as the Predator drone. The next in size are unmanned aircraft, which have fixed wings and require short runways. These are generally used to cover large areas, working in areas such as geographical surveying or to combat wildlife poaching. Next in size for drones are what is known as VTOL drones. Many of these are quadcopters but not all. VTOL drones can take off, fly, hover and land vertically. The exact meaning of VTOL is “Vertical Take-Off and Landing”. Many of the latest small drones such as the DJI Mavic Air and DJI Spark take VTOL to the next levela and can be launched from the palm of your hand. Many of the latest drones have dual Global Navigational Satellite Systems (GNSS) such as GPS and GLONASS. Drones can fly in both GNSS and non satellite modes. For example DJI drones can fly in P-Mode (GPS & GLONASS) or ATTI mode, which doesn’t uses satellite navigation. Highly accurate drone navigation is very important when flying especially in drone applications such as creating 3D maps, surveying landscape and SAR (Search & Rescue) missions. When the quadcopter is first switched on, it searches and detects GNSS satellites. High end GNSS systems use Satellite Constellation technology. Basically, a satellite constellation is a group of satellites working together giving coordinated coverage and synchronized so that they overlap well in coverage. Pass or coverage is the period in which a satellite is visible above the local horizon. It will stop and hover, then fly backward and ascends upwards until no obstacle is sensed. Next the RTH process resumes and the Mavic Air will return to home point a the new altitude. The latest DJI Mavic 2 Pro and Mavic 2 Zoom have obstacle sensing on all 6 sides. The Mavic 2 uses both Vision and Infrared sensors fused into a vision system known as Omni-directional Obstacle Sensing. The DJI Mavic 2 obstacle sensing system goes to the next level, where it can actually fly around obstacles in front or when flying backwards. If it is unable to work out a flight path around the object, it will hover in front of the obstacle. This is known as APAS (Advanced Pilot Assistance System) on the DJI Mavic 2 and Mavic Air drones. Gyro stabilization technology is one of the components which give the drone its smooth flight capabilities. The gyroscope needs to work almost instantly to the forces moving against the drone. The gyroscope provides essential navigational information to the central flight controller. The inertial measurement unit (IMU) works by detecting the current rate of acceleration using one or more accelerometers. The IMU detects changes in rotational attributes like pitch, roll and yaw using one or more gyroscopes. Some IMU include a magnetometer to assist with calibration against orientation drift. The Gyroscope is a component of the IMU and the IMU is an essential component of the drones flight controller. The flight controller is the central brain of the drone. Here is a terrific article, which covers gyro stabilization and IMU technology in drones. The motors and propellers are the drone technology, which move the UAV into the air and to fly in any direction or hover. On a quadcopter, the motors and propellers work in pairs with 2 motors / propellers rotating clockwise (CW Propellers) and 2 motors rotating Counter Clockwise (CCW Propellers). Nearly all drones have a Ground Station Controller (GSC) or an smartphone app allowing you to keep track of the current flight telemetry and see what your drone sees on your mobile device. In order to increase flight safety and prevent accidental flights in restricted areas, the latest drones from DJI and other manufacturers include a “No Fly Zone” feature. These no fly zones have been divided into two categories: A and B. Manufacturers can update and change this no fly zone drone technology using firmware updates. When the compass is calibrated, the drone then seeks the location of GPS satellites. When more than 6 are found, it allows the drone to fly in “Ready To Fly” Mode. Allows the UAV and remote control system to know exactly its flight location. Calibration of the Compass is required to set a home point. The home point is the location where the drone will return to in case of loss of signal between the drone and the remote control system. This is also know as “fail-safe function”. FPV means “First Person View”. A video camera is mounted on the unmanned aerial vehicle and this camera broadcasts the live video to the pilot on the ground. The ground pilot is flying the aircraft as if they were on-board the aircraft instead of looking at the aircraft from the pilot’s actual ground position. FPV allows the unmanned aircraft to fly much higher and further than you can from looking at the aircraft from the ground. First Person View allows for more precise flying especially around obstacles. FPV allows for unmanned aerial vehicles to fly very easily indoors, through forests and around buildings where it would not be possible to fly from a fixed position on the ground looking up at the drone in the distance. The exceptionally fast growth and development of the drone racing league would not be possible without FPV live video transmission technology. This FPV technology uses radio signal to transmit and receive the live video. The drone has a multi-band wireless FPV transmitter built in along with an antenna. 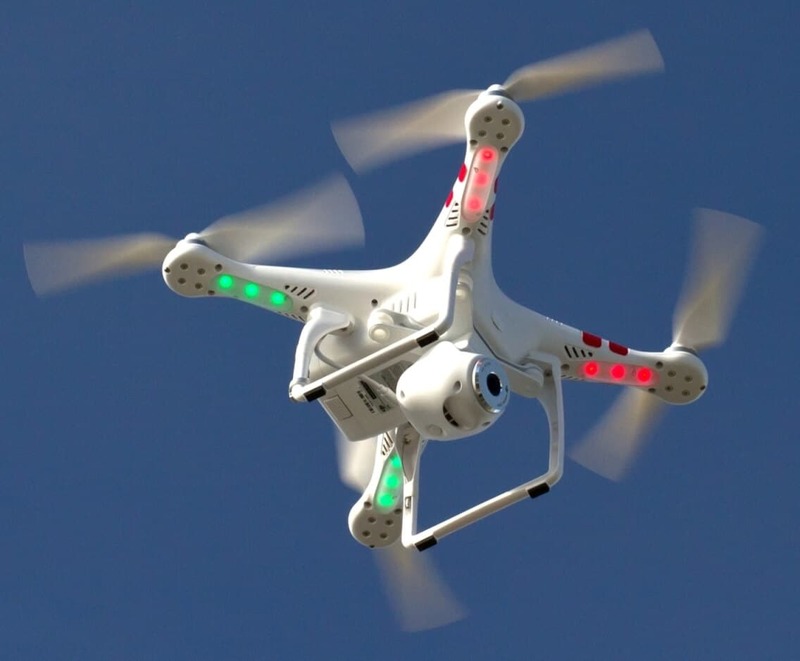 Depending on the drone, the receiver of the live video signals can be either the remote control unit, a computer, tablet or smartphone device. This live video feed is related to the strength of the signal between the ground control on the drone. The latest DJI Mavic 2 has an FPV live video range of 5 miles (8 km) with a 1080p quality video transmission. Other, slightly older drones such as the DJI Mavic and Phantom 4 Pro, can transmit live video up to 4.3 miles (7 km). 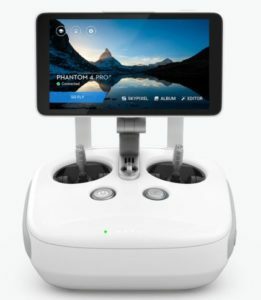 The Phantom 4 Pro and Inspire 2 use the latest DJI Lightbridge 2 transmission system. Drones such as the DJI Mavic use integrated controllers and intelligent algorithms to set a new standard for wireless high definition image transmission by lowering latency and increasing maximum range and reliability. Live video and maximizing the range of the transmission is fascinating drone technology. Here is a tremendous article entitled “Understanding FPV Live Video Transmission“. In 2016, a new live video, which transmits over the 4G / LTE network providing an unlimited range and low latency video was announced. This drone technology is the Sky Drone FPV 2 and comprises of a camera module, a data module and a 4G / LTE modem. The flight control system communicates with a PC Assistant through a Micro-USB cable. This allows configuration of the UAV and to upgrade the drone firmware. A very simple description of a drone is that it is a flying computer with a camera or sensor attached. Like computers, drones have firmware software, which send commands to the physical components in the aircraft or remote controller. Drone manufacturers release firmware upgrades to fix bugs and add new features to the aircraft, remote control unit or software if it is used to fly the drone. These are found at the front and the rear of the drone. Generally, drone LEDs will be green, yellow or red. The front LEDs are for indicating where the nose of the drone is. The rear LEDs flight indicators light up to indicate the various status of the drone when power on, getting a firmware upgrade and flying. It is a good to understand what the flashing LEDs on your quadcopter indicate. For example, a slow blinking red LED might indicate the battery is low and a solid red light would indicate a critical error. All drones come with a user manual, which list what each type of flashing LED mean. On the DJI Phantom 3, this is the wireless communication device using the 5.8 GHz frequency band. The drone and the remote control system should already be paired when it leaves the factory. The location of the 5.8 GHz receiver technology link button is under the UAV. Almost, all the latest drones can use 2.4 or 5.8 GHz operating frequencies. This is a wireless communication device which generally operate within the 2.4 GHz frequency. It is used to extend the range of communication between the smartphone or tablet and the drone in an open unobstructed area. The latest DJI drones out of the box can fly with a range of up to 5 miles (8 km). Many older drones or drones from the other top manufacturers can’t fly as far as DJI drones. However, products such as range extenders are very popular, which can push the distance even further. Many of the drones today can be flown by a remote controller or from a smartphone app, which can be downloaded from Google Play or the Apple Store. The app allows for full control of the drone. Each manufacturer will have their own app such as the Go 4 app from DJI. The latest drones from DJI, Walkera, Yuneec and many other manufacturers now include cameras, which can shoot film in 4k video and can take 12 megapixel stills. Many of the earlier drones used cameras, which were not fully suitable for aerial filming. Many of these aerial videos had barrel distortion because of the wide angle lens. 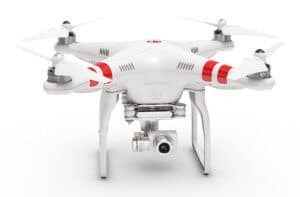 However, the latest 4k video drones such as DJI Mavic series, DJI Inspire 1, Phantom 3 Professional and Phantom 4 have a camera which is specifically designed for aerial filming and photography. The best drone for professional aerial filming is the DJI Inspire 2 mounted with the DJI Zenmuse X7 camera. The Inspire 2 image processing system CineCore 2.1, records video at up to 6k in CinemaDNG/RAW and 5.2k in Apple ProRes when used with the Zenmuse X7 camera. The Inspire 2 is being used by Hollywood producers and top advertising firms. In fact, the Inspire 2 filmed all aerial and ground shots in a short film called The Circle with cinematic quality. You can read more about the number 1 drone for aerial filming in this terrific DJI Inspire 2 review. In 2016, 2017 and 2018, a number of integrated gimbals with optical and digital zoom came to the market. DJI released the Zenmuse Z3, which is an integrated aerial zoom camera and is optimized for still photography. The Zenmuse Z3, which had a 7x zoom made up of 3.5x optical and 2x digital lossless zoom creating a 22 to 77 mm equivalent focal length range, making it ideal for industrial applications. In October 2016, DJI released the Zenmuse Z30 camera. This powerful Zenmuse Z30 is an integrated aerial zoom camera has a 30x optical and 6x digital zoom for a total magnification up to 180x. This allows for more industrial uses such as inspecting cell towers or wind turbines to get a very detailed look at structures, wires, modules and components to detect damage. The Zenmuse is compatible with DJI Matrice range of drones. The Walkera Voyager 4 comes with an incredible 18x zoom camera. The 18x optical zoom camera on the Voyager 4 has unobstructed 360 degree filming. It can film in 4k at 30 frames per second. The high definition image transmission system uses a 3-axis brushless stabilization gimbal technology. Walkera have also released their latest Voyager 5. This has an incredible 30x optical zoom camera. It includes many redundancy systems such as dual GPS, dual gyroscope and 3 battery system. It also has optional thermal infrared and low light night vision camera. Gimbal technology is vital to capture quality aerial photos, film or 3D imagery. The gimbal allows for any vibration from the drone to not reach the camera. The gimbal allows you to tilt the camera while in flight, creating unique angles. Many are 3 axis stabilized gimbals with 2 working modes. Non-FPV mode and FPV mode. Practically all the latest drones have integrated gimbals and cameras. The leader in aerial gimbal technology is DJI with their Zenmuse range. You can read further on drone gimbal design here. At CES 2017 a company called Ambarella announced the H22 chip for cameras in drones. This H22 chip allows the camera to film in 4K HD video and includes electronic image stabilization, removing the need for camera gimbals. Multispectral, Lidar, Photogrammetry, low light night vision and Thermal vision sensors are now being used on drones to provide 3D models of buildings and landscape. Digital Elevation Maps (DEMS) are also being created of land areas to provide precision data on the health of crops, flowers, fauna, shrubs and trees. In 2016, drones using Time-of-Flight sensors came on the market. ToF sensors can be used on their own or with RGB and lidar sensors to provide various solutions across many sectors. ToF depth ranging camera sensors can be used for object scanning, indoor navigation, obstacle avoidance, gesture, track objects, recognition, measure volumes, reactive altimeters, 3D photography, augmented reality games and much more. With Lidar and photogrammetry mapping, the drone is programmed to fly over a particular area using autonomous GPS waypoint navigation. The camera on the drone will take photographs at 0.5 or 1 second intervals. These photos are then stitched together using specialized photogrammetry software to create the 3D images. DroneDeploy is one of the leaders in the creation of 3D mapping software. Their mobile app and Live Map is being used in many sectors for creating 3D maps and models. They have a specialized solution for the agriculture sector and their software will work with most of the latest drones. You can read a review on the above drone mapping software in this article on best photogrammetry software for 3D maps. Helps to keep the stabilizer and camera connected to the unmanned aircraft. Having an excellent quality video software is essential for post processing. Most of the latest drones can film in Adobe DNG raw, which mean that all the original image information is retained for later processing. Most unmanned aircraft use Linux and a few MS Windows. The Linux Foundation have a project launched in 2014 called the Dronecode project. The Dronecode Project is an open source, collaborative project which brings together existing and future open source unmanned aerial vehicle projects under a nonprofit structure governed by The Linux Foundation. The result is a common, shared open source platform for Unmanned Aerial Vehicles (UAV). Drones in some ways are like flying computers. With an operating system, flight controllers and main boards with programmable code, they can also be hacked into. Drones have been developed to fly around seeking other drones and hacking into the drones wireless network, disconnecting the owner and take over that drone. However, there is some practical ways to protect your drone from hackers. 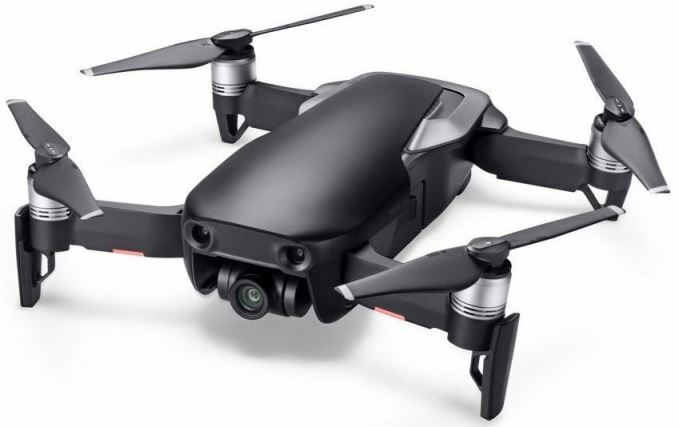 DJI Mavic 2 – Comes in 2 models. 4k camera and Zoom model. It includes collision avoidance on all sides. DJI Mavic 2 Enterprise or M2E – Zoom or Thermal camera models. Includes special accessories such as a beacon, spotlights and loudspeaker. Designed specifically for Search and Rescue or similar type work. DJI Mavic Air – This is a small sized professional drone. It has a 4k camera and very stable flight. It has collision avoidance. It can also fly using hand gestures and has face recognition technology. 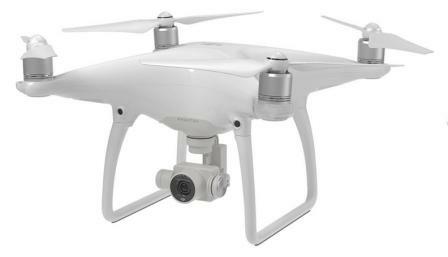 DJI Phantom 4 Pro – with “Vision” collision avoidance technology. Multi purpose drone including 4k aerial filming, photography and photogrammetry. DJI Inspire 2 – Patented design and motors. Multi purpose drone for professional 5k aerial filming, photography, photogrammetry, multispectral and thermal imaging. Yuneec Typhoon H Pro – uses the patented Intel “Realsense” collision avoidance technology. Great for professional aerial photography and filming. Walkera Voyager 5 – This latest drone from Walkera is tremendous. Camera options include 30x optical zoom, thermal infrared and also a low light night vision camera. Walkera Vitus Starlight – latest small sized consumer drone from Walkera featuring collision avoidance sensors and a low light night vision camera. DJI Matrice 600 – This commercial multirotor is an true aerial cinematography platform with options to mount 7 different Zenmuse cameras. DJI Matrice 200 Commercial Quadcopter – Redundancy with dual battery, IMU and Satellite navigation systems. You can mount 2 cameras under the quadcopter (e.g thermal and zoom camera). Also, mount a camera on top of Matrice 200, which makes surveying of bridges real easy. The Matrice 200 has 6 directions of collision avoidance using ToF laser, Ultrasonic and Vision sensors. Drones have so many terrific uses. When you mount a camera or sensors such as LiDAR, Thermal, ToF, Multispectral and many others, then the range of uses for drones just keeps expanding. Here is an excellent list of drone uses. Below I have 2 videos which explain more about drone technology. The first video is by top UAV scientist Raffaello D’Andrea who gives us a terrific understanding of the software science behind UAV technology. He discusses the science of algorithms, control theory and model based design. The below video explains both the present and future of science and technology behind military unmanned aerial vehicles such as the Predator and the Reaper. 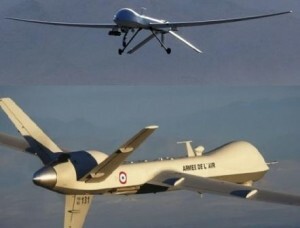 Two medium-sized military drones which are currently in use are the in are the MQ-1B Predator and the MQ-9 Reaper. These were widely used in Afghanistan and Pakistan. Personally, I am much more fascinated by the drone technology and its uses in everyday life to assist different businesses, professions and for the hobbyist. Up to a few years ago, much of the technology from military drones made their way into the consumer and business drones. In the past few years, we have seen massive investment in drones especially in the business and consumer drone sector. Drone technology and innovation has really leaped forwarded in the past few years.